​What will future generations of musical lovers call "a classic”? ​Gather around the piano for a fun-filled evening of music, drinks and memories. millennials to grandparents singing along! Performed by our acting company members and special guest artists. 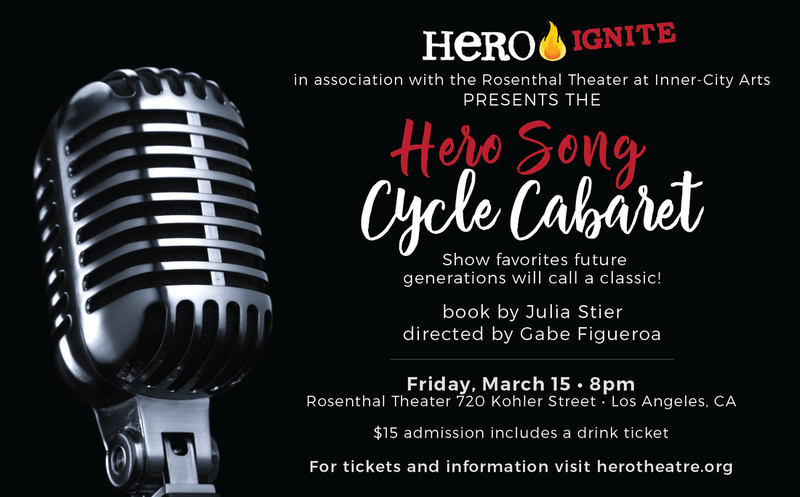 The Hero Song Cycle is the first show presented by Hero Ignite, a new program created by our mentorship program alumni. Proceeds benefit Hero Theatre's Mentorship Program. Can't attend? Visit our Mentorship Program page to find out more and donate.